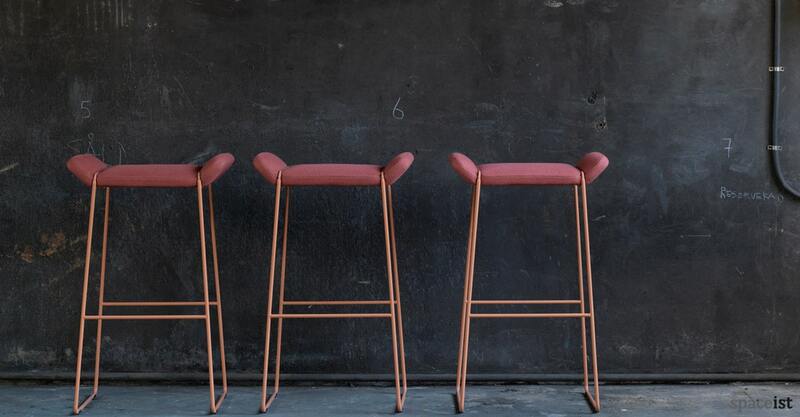 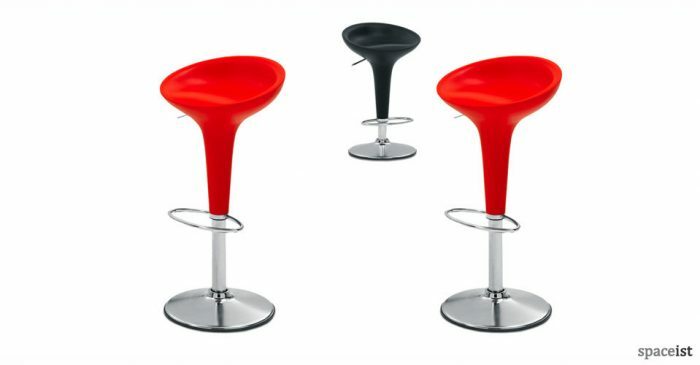 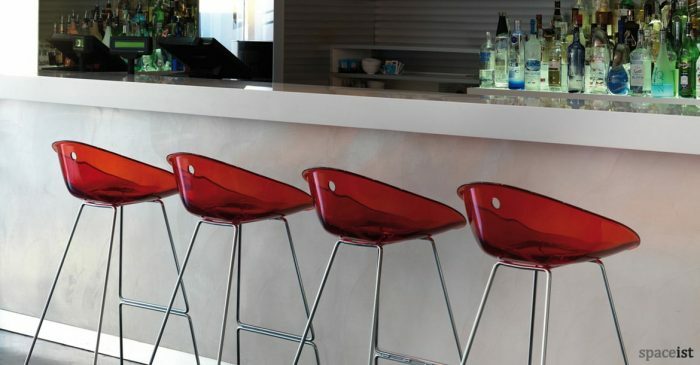 Categories: Colourful bar stools, Upholstered bar stools. 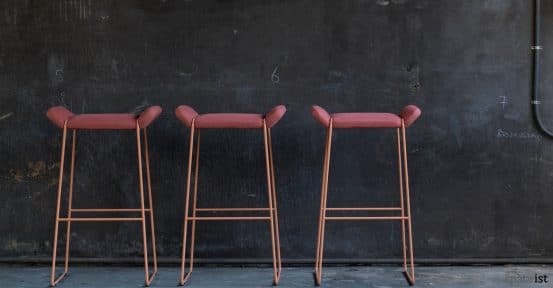 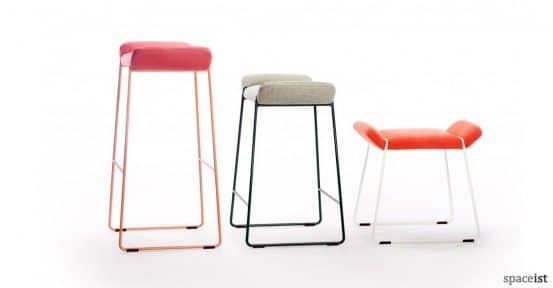 Stylish and retro, the Frankie stool takes inspiration from the 1920s fashion scene and Lindy hop dance legend, Frankie Manning. 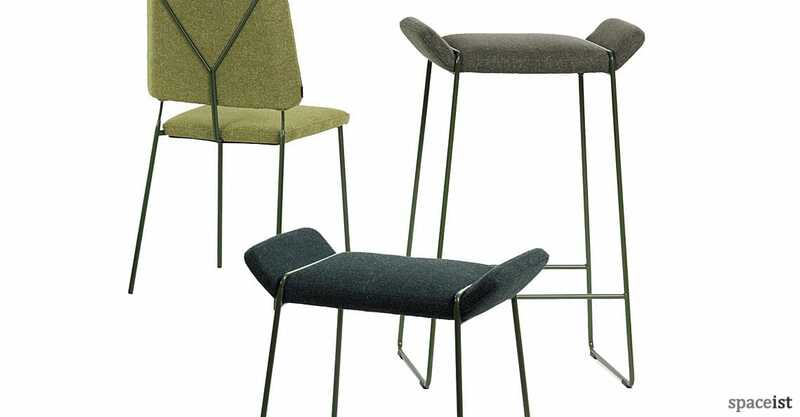 Clear to see why, the ingenious metal frame supporting the seat appears to mimic trouser braces, a popular fashion trend of that era. 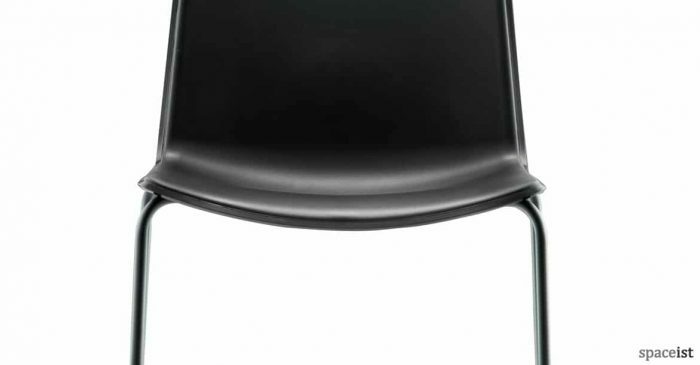 Bringing the style and form of the 1920s, this modern meeting room chair offers ample support and comfort. 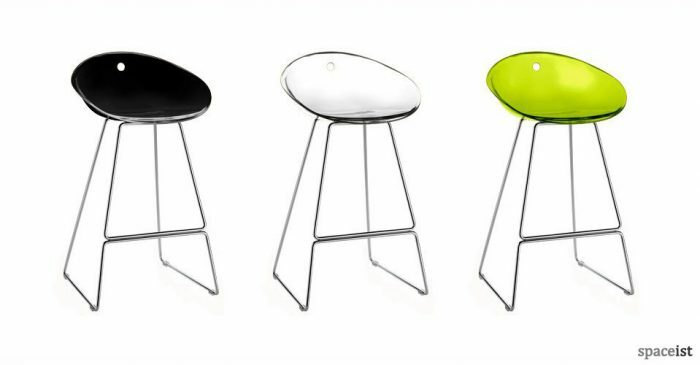 The upholstered shell comes in a wide choice of fabric, faux leather and leather finishes, with over 60 colours to choose from. 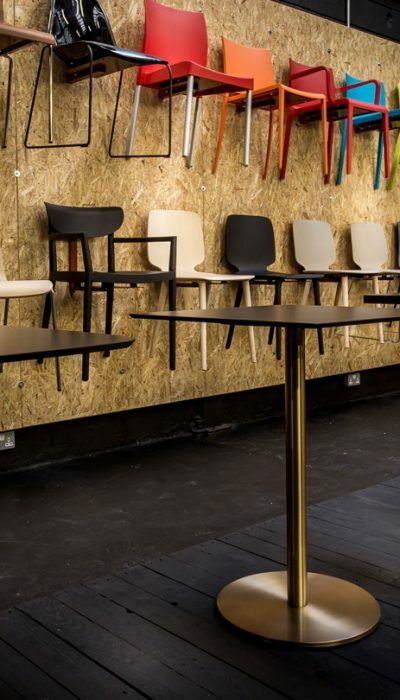 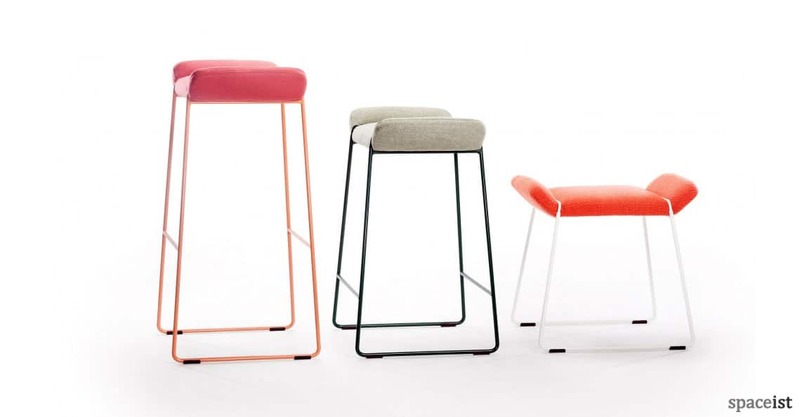 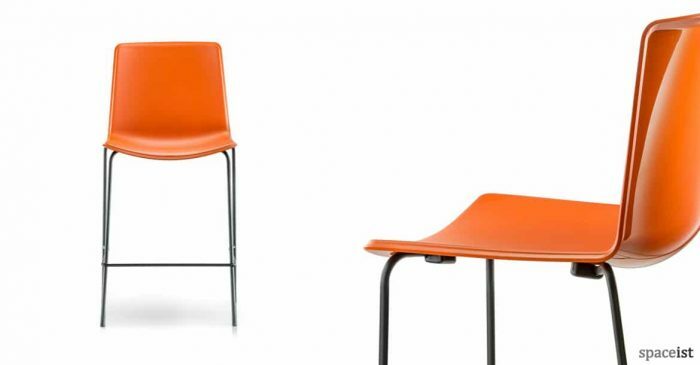 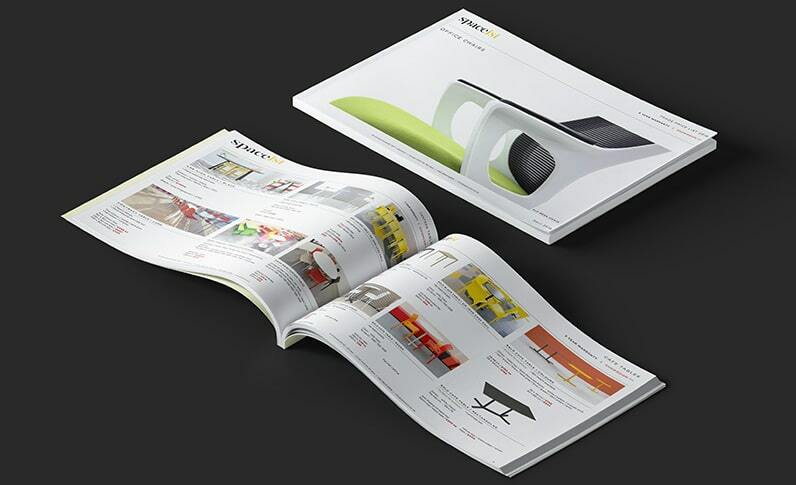 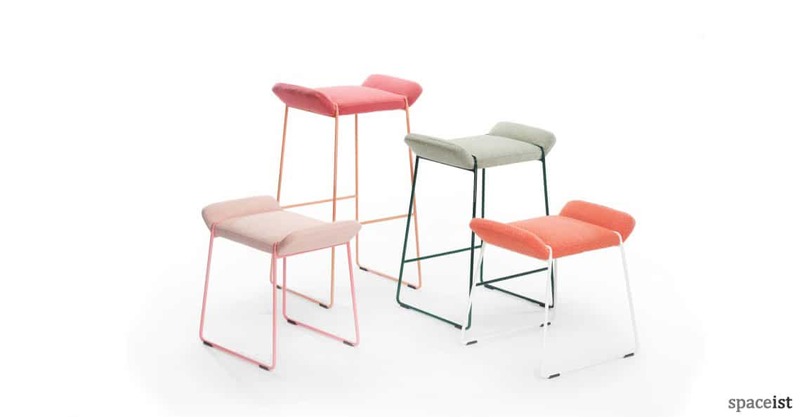 The sturdy powder coated steel frame comes in over 64 RAL colours, making this an ideal chair to customise according to each project requirement.